By using Divi Plugins you can add new features or extend the functionality of your Divi website. Plugins are an essential part of your Divi website and many are now being developed to integrate as add-ons specifically for the Divi Theme. With a growing number of people developing both free and premium Divi plugins and custom modules and extensions there is a large choice available to get more from your website. If you are looking to buy Divi plugins or perhaps grab a freebie, there are over 100+ listed in the directory at the bottom of the page. Your 1 stop destination for plugins for Divi. If you prefer not to have to search on the Elegant Themes website, the many 3rd party developer sites or in the official WordPress.org repository when buying Divi plugins, then this page is for you, as they are all listed in 1 place with links directly to the developers website or store. If you are a 3rd party developer and have a plugin not listed on this page, please drop me a line via the contact page to get it listed and drive free traffic to your site. The Divi plugins below are listed in chronological order with the latest released shown 1st at the top of the page. These plugins are not available to buy directly from us here on Divi Theme Examples, but each product listing will have a button linking directly to the developers’ website product page where you can buy directly from the source. 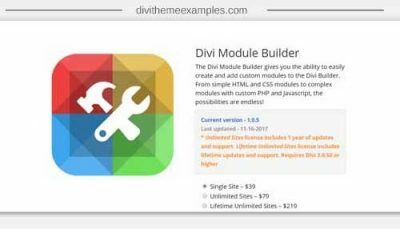 Free Divi plugins: Pay $0 for all of these Divi plugins. 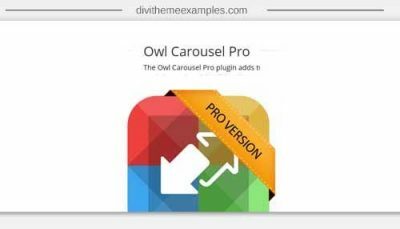 Whilst most plugins for Divi are premium, there are also a lot of Divi developers who release free plugins for the theme. They do so either for greater exposure for their premium products, to get some affiliate commissions or just because they like sharing & helping the community. Either way, you can get some really nice plugins for $0. Check out the free listings below. Affiliate disclosure: Links on this page may contain affiliate code which means the owner of this website will be paid a commission on any sales that result from purchases made via these links. If you choose to purchase via links on Divi Theme Examples you will never be charged any extra and you will be helping to keep this website a forever free resource for the Divi community.